While there is a Shivratri every month on the 13th night in the Krishna Paksha, Maha Shivratri, the Great Night of Shiva, comes in the Phalgun month and is celebrated with great spiritual fervour and enthusiasm every year. Unlike most Hindu festivals, it is primarily a night festival dedicated to Lord Shiva. It is considered to be a sacred and auspicious night to seek the grace and blessings of God, a powerful time for prayers and the fulfillment of prayers, for spiritual awakening and God realization. 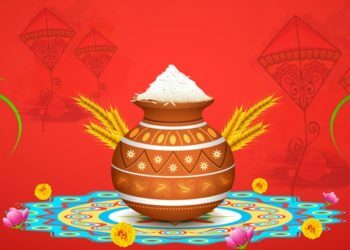 For those embedded in the material world seeking worldly happiness and gain, it is said to be auspicious for it is believed that no prayer goes unanswered on this holy day. A popular Maha Shivratri story associates this night as the wedding night of Lord Shiva and His consort, Parvati. Hence on this day, young girls observe a fast and pray to Shiva so that they can be blessed with an ideal husband like Him. Married women observe a fast and pray for good health and long, blessed life for their husbands. The observance of the Maha Shivratri fast with strict discipline helps a devotee control the two forces that can negatively impact a man, Rajas Guna (the attribute of passionate activity) and Tamas Guna (the attribute of inertia). When a devotee spends an entire day focusing on God, thinking of God, praying and worshipping God with utmost devotion, evils like lust, anger, jealousy, born of Rajas are overpowered. Moreover, when a devotee keeps a vigil throughout the night (jaagran), he manages to vanquish the evils of Tamas Guna too. Fasting cultivates a sense of discipline, self-control, at the same time detoxifies the body, keeps the mind alert, helping one to concentrate on Shiva. The spiritual significance of Maha Shivratri is tremendous. While many people pray for worldly gains, those on a spiritual path pray for spiritual wisdom that will take them a step closer to the Divine, and ultimately, bless them with the grace to attain liberation or Moksh. The planetary positions on Maha Shivratri are such that it naturally creates an upsurge of energies in the human system that is conducive for both spiritual evolution and physiological well-being. 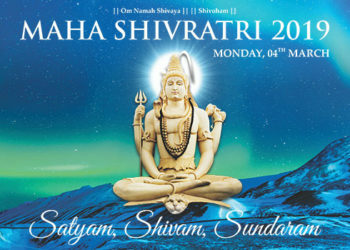 Hence it is advised that a person stays awake through the night of Maha Shivratri to make the most of these energies. Chanting, meditational practices on Maha Shivratri promotes spirituality, enhances the spiritual persona and brings one closer to God, creating bliss and peace. 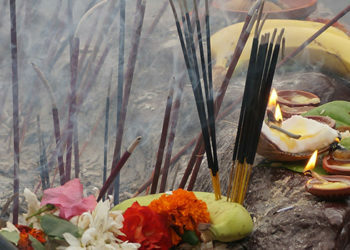 The customary and traditional offering of water, milk, honey, Bael leaves on Maha Shivratri has its own unique significance. From a spiritual perspective, Shiva is the Soul and these offerings symbolically purify the Soul. Besides other practices like the application of vermillion on the Shivlinga is representative of divine virtues and strengthens moral virtues. Fruits offered to Shiva on Maha Shivratri bless one with longevity and fulfillment of wishes. Burning of incense sticks is indicative of wealth; diya for the light of wisdom and knowledge and applying Tripundra (the three horizontal stripes of holy ash applied by Shiv devotees) on the forehead enhances spirituality and helps in austere penances. These stripes indicate spiritual knowledge, purity and the disciplined practice of Yoga. 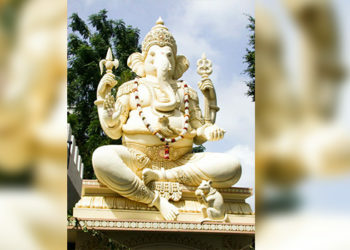 It is believed that people who pray and fast with faith on Maha Shivratri can reap the benefits of an entire year’s rigorous prayer and are absolved of their sins and liberated from the cycle of birth and death. At Shivoham Shiva Temple, the day of Maha Shivratri is celebrated as a day of God-realization – of realizing God within the temple of our hearts. 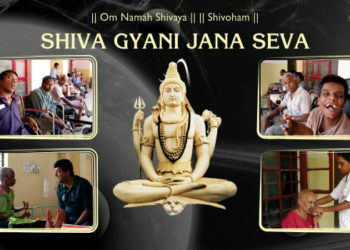 The special Shivoham Poojas and other Maha Shivratri events help a seeker progress on the spiritual path to Liberation and have a spiritually uplifting effect on both devotees and visitors. Devotees can perform the special Barah Jyotirling Abhishek that enables one to experience the mystical spirituality of all the Barah Jyotirling at one place and at one time. This year, the theme of Maha Shivratri at the temple is Satyam Shivoham Sundaram which calls upon people to go beyond the beauty of things to realize Everything that is beautiful is God. Ma shibji ko bht sradha karta ho.